Arutz Sheva meets the scientists behind BioCep, an Israeli-developed advanced cell separation system. Arutz Sheva met and spoke with the scientists behind BioCep, an advanced cell separation system which has the ability to isolate even rare cells of one to ten million cells. BioCep’s patented Cell Enrichment Process (CEP) yields larger, purer and less damaged cell populations in comparison with existing technologies, setting a new standard in cell separation. The CEP cell separation device can be applied in numerous medical processes, bringing exceptional benefits to each. BioCep is currently developing applications in non-invasive prenatal testing and stem cell separation, based on its advanced technology. 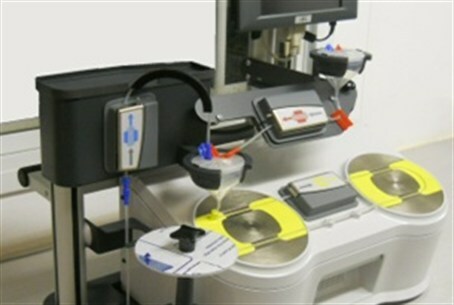 According to Rachel Leibovitze, Business Development Manager at BioCep, the device could isolate tumor cells in cancer patients in order to see whether the treatment the patient is undergoing has been successful or not. The device can also isolate rare fetal cells in the first few weeks of pregnancy for the purpose of replacing an amniocentesis with a non-invasive diagnostic test. This enables to determine if termination of the pregnancy is required and, if so, it can be done at an early stage. BioCep is an Israeli innovation and the company’s headquarters are located at the Ziv Medical Center in Tzfat. BioCep recently won a third place award at the ILSI-Biomed 2012 Conference startup competition. The company will present its technology at the Youngstartup summit which will be held in New York in June.